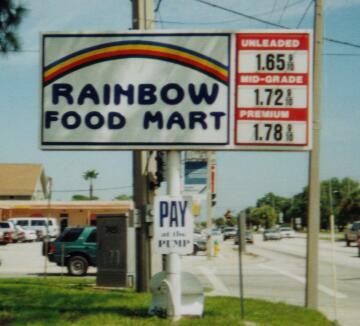 Rainbow Food Mart, Largo, Florida. A local marketer. Taken Sept. 2003 by Robert Droz.